Raise your hand if you don’t like cookies. No hands? Yeah, that’s what I thought. Whether they’re creme-filled or loaded with chocolate chips, virtually everyone likes a good cookie (and for some of you, a good “biscuit”). What you may not know is that cookies can be good for learning, and I’m not talking about those things on your computer’s internet. I am, however, talking about the Cookid Teaching Jar app. Using cookies of all shapes and sizes this fun game introduces early readers to new and more obscure words such as “ogre”. 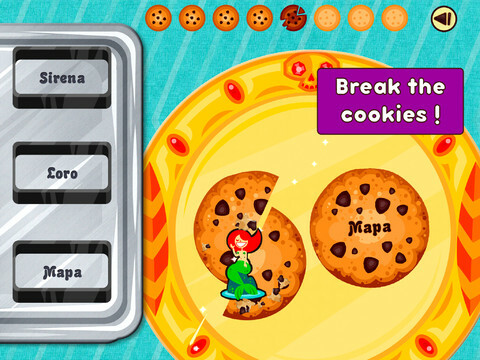 Break, crush, or pull apart the cookies to reveal an illustration and match it to the word on the left of the screen. 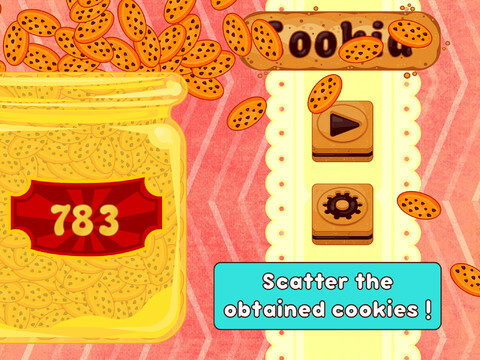 Earn cookies for the jar with each round and unlock new levels as you go. There are 90 words used over 9 different levels, which get progressively more difficult as skill levels increase. Missed a word? That’s okay – the game intuitively decreases the difficulty for players. The main concept behind game play is visual recognition of words and letters, so reading isn’t necessary to play but it sure is helpful. According the the game’s iTunes description this game should have been suitable for my kids, 2 & 5. We were all confused by the initial tutorial and it took us a while to figure out what to do. My oldest couldn’t play it independently because he needed help with the reading, and my youngest watched but still had no idea what was going on. We also found that breaking the cookies to reveal the image was unpredictable. Sometimes it took 4 or 5 swipes to cut a cookie in half when it should have taken only 2 swipes. Cookid is free and fun, but it comes with a few caveats. Players with reading skills would enjoy this more than non-readers and have more patience for some of the technical bugs that still need to be worked out. Otherwise the game is great for helping with the visualization and recognition of letters and words. 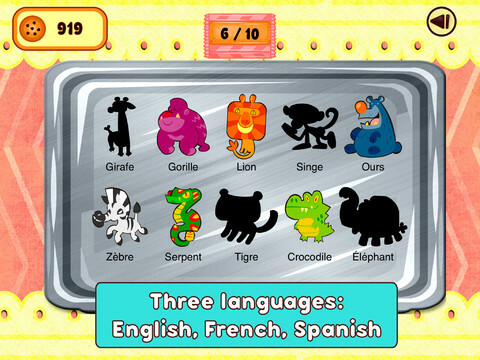 Three language modes mean that budding bilinguals can also learn foreign language skills. No need to pre-heat the oven – these cookies are for learning, not eating!